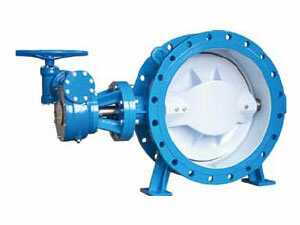 Butterfly valve is also called flap valve. It is a kind of regulating valve used for isolating or regulating flow. The "butterfly" is a metal disc mounted on a rod. The disc is positioned in the center of the pipe. There is a rod connected to an actuator on the outside of the butterfly valve. Rotating the actuator turns the disc either parallel or perpendicular to the flow. When this flap valve is closed, the disc is turned so that it completely blocks off the passageway. When this water valve is fully open, the disc is rotated a quarter turn so that it allows an almost unrestricted passage of the fluid. 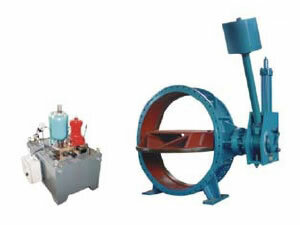 CORROCO can provide metal hard sealing butterfly valve and hydraulic control valve for pumping station. 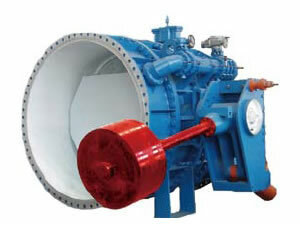 They are greatly favored because they are lower in cost and lighter in weight to other valves. Butterfly valve is suitable for all kinds of corrosive, non corrosive fluid pipes in environmental protection engineering system, such as coal gas, natural gas, liquefied petroleum gas (LPG), city gas, heat and cold air, chemical smelting and power generation, etc. This flap valve can regulate and truncation medium flow. 1. Butterfly valve has the features of simple structure, small volume, small installation size, reciprocating rotary, small driving moment, etc. 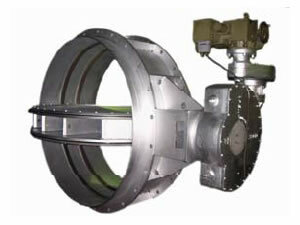 It is used for intercepting and adjusting the medium in pipes. It also owns good fluid flow controlling function and seal performance. 2. This flap valve can transport mud. It has low pressure and good regulation performance that can achieve good sealing. 3. The butterfly plate is geometrically designed, which makes fluid resistance lose less. 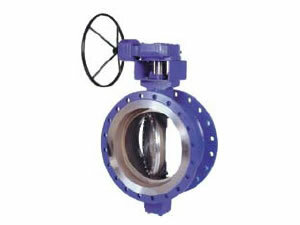 Our butterfly valve is a kind of energy-saving products. 4. After quenching and tempering, this flap valve rod has good mechanical properties and corrosion resistance. Corroco International Industrial Co., Ltd is a professional manufacturer and supplier of butterfly valves in China. In addition to flap valves, we also produce sleeve valve, turbine inlet spherical valve, cone valve, needle valve, turbine inlet butterfly valve, and other water valves. With 12 years' production experience, our products have been exported to the United States, Canada, Britain, Germany, Iran, Pakistan, India, Kuwait, Dubai, Saudi Arabia, the Philippines, Malaysia, Singapore, Congo, Turkey, etc.